An essential part of any holiday in Argentina is sampling the local cuisine, especially if you are keen on getting the full cultural and dining experience during your stay. 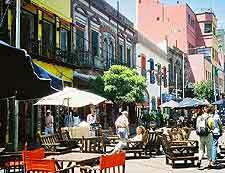 Buenos Aires, as the capital of the country, is home to the largest selection of restaurants and eateries in Argentina, so visitors can expect a wealth of choices when lunch or dinnertime comes around. Some local delicacies can be sampled for next to nothing from food carts, while others are best enjoyed in a romantic environment, accompanied by live Argentine tango music. Don't forget that the locals in Buenos Aires tend to enjoy dining rather late, with restaurants not filling with evening diners until 21:00. 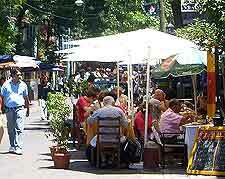 Eateries in Buenos Aires follow regular opening hours, and open for lunch and dinner times only. Lunch is generally eaten between 12:30 and 14:30, while dinner is usually a fairly late affair, although some restaurants do open from 19:00 onwards. Meals are rarely rushed and it's not uncommon to spend two hours dining, or even longer in the evening. Argentine cuisine has a good reputation in international circles, especially for its beef dishes, which are created from meat and considered among the finest in the world. The steak dish known as 'bife de chorizo' is one to try if you are a keen carnivore, while the barbecued meat in 'asado criollo' is also guaranteed to please meat enthusiasts. The restaurants known as 'parrillas' are the best locations at which to sample a range of meat dishes. Fish and seafood are also popular at many dining options around Buenos Aires, with traditional dishes featuring mussels, squid and crayfish. If stews are your thing, then be sure to sample the tasty 'locro', a dish with corn and sausages. 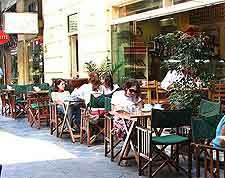 Head for the Palermo district if you want dining venues with style and a lively atmosphere. 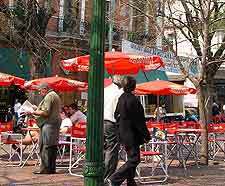 Restaurants in this part of Buenos Aires are not especially cheap, but the service is generally good and the ambiance inviting. Palermo Viejo is widely considered the area with the finest food available in Buenos Aires, while Palermo Hollywood is where to find chic eateries where style may take precedence over substance. 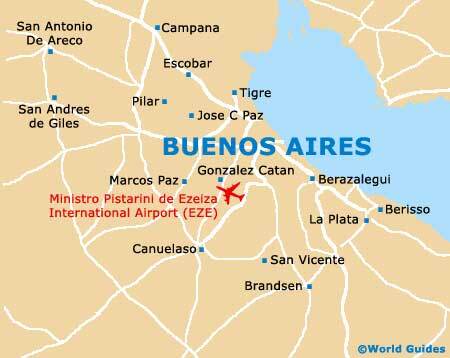 Other areas of note for dining include Microcentro, Recoleta and the docks of Puerto Madero.